So we went to see Wonder Woman on opening night, and were not disappointed. Lots of other people had the same experience, because the movie made over 100k opening weekend and is being hailed as a needed course correction for the DC movie-verse. I grew up watching the Batman/Superman Adventures, and the animated Justice League of America and Justice League Unlimited. I never really read the comics, but I’ve seen snippets here and there. Somehow, though, when DC makes the leap to the silver screen they forget the core of what makes things work and just take the skin. They take the skin, change out the soul, and then wonder why it doesn’t do as well as they expected. Wonder Woman is a movie whose soul is hope and faith. Semi spoiler alert? Diana is raised in a peaceful place that is constantly preparing for war, and teaching about good and evil. She initially sees the world as we wish it was–a good world that is only corrupt because of one corrupter. The first man she meets, Steve, is a bit blown away by her version of the world, but doesn’t bother trying to argue with her. I mean, he just saw an island of Amazons and experienced the lasso of truth, he knows enough to know that’s not an argument worth getting into until he knows more than he knows now, you know? When Diana is faced with the reality that it’s not that simple, that mankind itself is corrupted, Steve argues with her about saving it. Because it’s not that simple; it’s not a question of what you deserve, but what you believe (how’s that for a core truth about the way the real world works?). She comes to realize that, in the words of Samwise Gamgee, there is some good in this world, and it’s worth fighting for. Unlike other DC movies, the good worth fighting for is a bit more obvious in this story (we aren’t sure there actually IS any good in most of the other recent movies). Diana is surrouned by a cadre of diverse souls who decide to risk it all in a desperate mission for the sake of brotherhood, a leader worth following, and the world. They have no one forcing them to do this, and nothing to gain for themselves. The film has many of the same elements as Rogue One, actually. It’s not quite as skillfully executed in terms of tightness of story or world building (or science…poison gas exploding in the sky instead of on the ground doesn’t actually solve much–your only hope is that it is somehow light enough to….go into space? Maybe? Before it falls back to earth in the rain), but the elements of depth are there and carry the movie through it’s weaker elements. (I was personally bothered that the hero’s name is Steve, which wasn’t very typical in WWI, and that the depiction of the “Front” involved villagers fleeing the front in a panic like the Front just got there. And lets not even talk about young Ares’ mustache.) The movie isn’t doing well because of accurate world building, it’s doing well because it’s a story with heart and soul. The hope it leaves you with is real, because the film actually demonstrated what love looks like. The success of this is due in no small part to the flawless performance of Gal Gadot, but also an excellent supporting cast and plenty of inspiring cinematography. I’m sure much will be made of the fact that this is a movie with a female superhero carrying it–and how that’s never been done before (or has it? Rogue One, Force Awakens, Hunger Games, all dominated by their heroines). I’m sure people will fight about how it’s feminist (woman in armor is lead fighter!) or not feminist (her armor is far to feminine and skimpy to be feminist) but that’s not what I saw when I watched the movie. I saw a movie about a warrior who was compassionate and determined to protect those who could not protect themselves. She also happened to be a woman, and still feminine with her flowing hair. Honestly, I saw everything I want to be. She respected people (men and women alike) as equals and saw her role, her particular role, as protector. The world as she saw it divided people only by skills. It looked a lot like the world I see in my head. It’s not necessarily the way the world IS, but it’s how it should be. 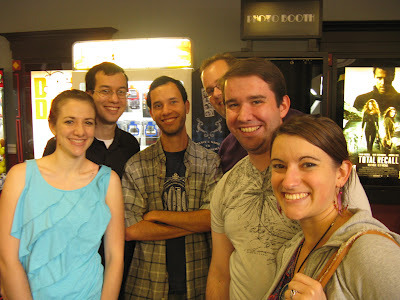 Note: This post originally appeared August 1, 2012 on my other blog. 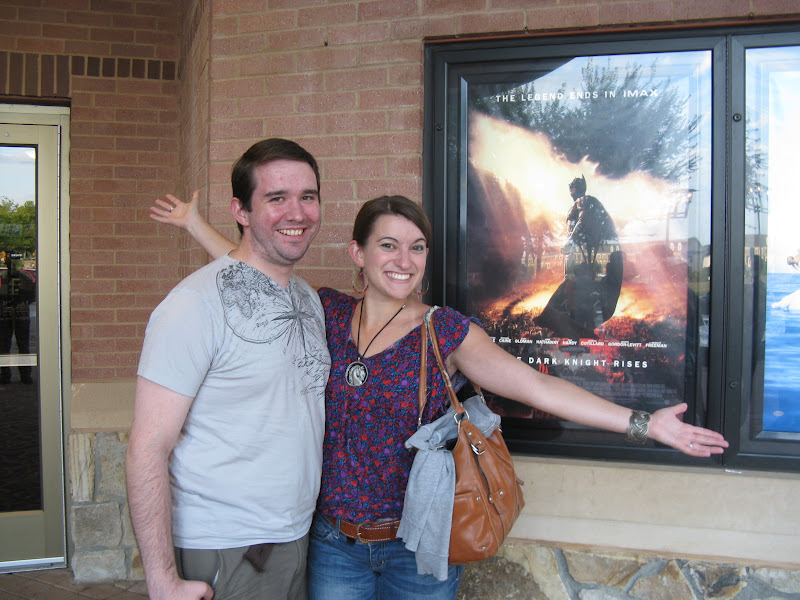 Four years ago, when they were promoting The Dark Knight, I decided that I probably didn’t want to see it because I didn’t want to see the Joker. The Joker is one of the best Batman villains, and my favorite Joker of all time is the one from the Batman/Superman Adventures voiced by Mark Hamil (you might remember him better as Luke Skywalker). Having seen Tim Burton’s Joker, I knew that the mad clown wasn’t nearly as fun when translated to the live action world–he was probably one of the scariest villians possible, and the Joker of Nolan’s gritty Gotham was undoubtedly the most terrifying villain ever. The Joker of the animated series was after two things; money, and besting “Bats”–the Joker of TDK was after one thing; pushing Batman over the edge. 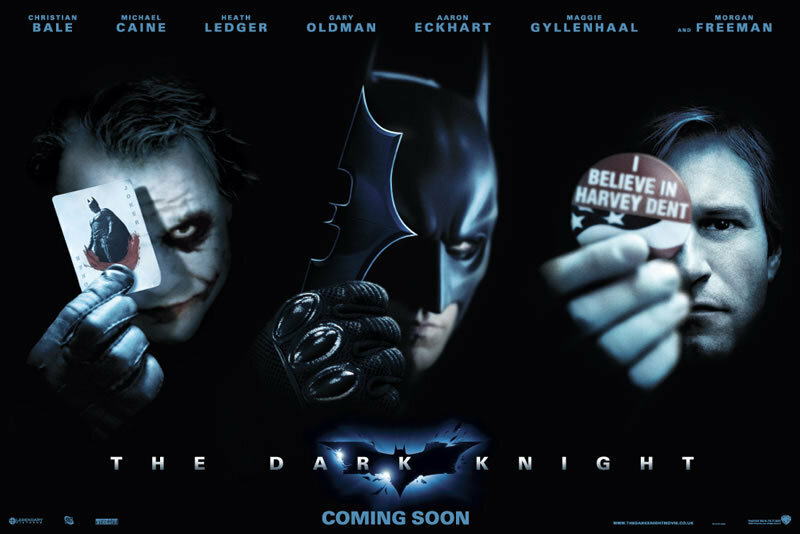 After the untimely death of Heath Ledger I was even less interested in plumbing the depths of evil with the Dark Knight. Every now and then Zorro would tell me that TDK was one of the best done films he had ever seen, but it was a hard film to watch. I would agree with him (having known all the major plot points and twists since it was released) and that was that. 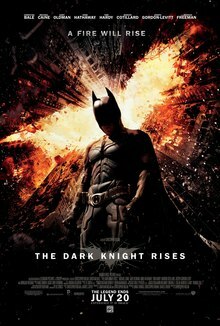 As everything built up to the release of The Dark Knight Rises my curiousity got the better of me and on TDKR’s opening day I finally watched The Dark Knight. I’m glad I did. I’m also glad that it was 4 years before my morbid curiousity got the better of me! At least I could watch TDKR shortly after seeing TDK. Why? Because I didn’t like the end of TDK. It’s a rough film that explores themes of good, evil, and how far good should go to stop evil. Batman is faced with a villain with no backstory, no identity, and no motivation except to destroy Batman from the inside. Why? Sounded like fun. That’s all. Just wants to see the world burn. The Joker is not mad–not at all–he’s just evil. The Joker believes that deep down, each person is just like him. The frightening thing is that he’s right. The Christianese for it is “sin nature”–the translation is “nobody’s perfect.” Harvey Dent, the White Knight, Gotham’s hope–Bruce Wayne’s hope–proved Joker’s point with resounding consequences. Dent–representing “the best of us”–gave in to the temptation of the power of evil, the power of no checks and no rules. He hung onto his two headed coin as a sort of blankie, a way to say it was’t not his fault–life is all pure chance so why shouldn’t he do what he likes? He set out to punish the world for what he lost–but only if the coin dictated their death. He sought to relieve his own pain by inflicting it on others. He gave himself to the evil inside him and became Two-Face. Joker won the battle for Harvey Dent, however, the people of Gotham and Batman prove that even if evil is tempting, we do have a choice. We can choose not to be like the Joker or like Two-Face. Joker tries to goad Batman into breaking his rules and killing him, he tries to goad the refugees and inmates on two ferries into blowing each other up to save themselves. But they don’t. They almost do. They want to. But when it comes down to doing the deed they don’t. After the people of Gotham prove themselves, and Batman finally succeeds in capturing the Joker, there is still the problem of Two-Face Dent on his revenge-driven killing spree. Batman and Commissioner Gordon have been struggling to keep Harvey Dent’s nose clean since Joker upped the anti in Gotham (a fact that probably should have tipped them off that maybe he’s not the White Knight they thought). They desperately want him to be what they believe they can’t–a shining example of good for the people of Gotham to aspire to. Consequently, they do everything possible to save Harvey Dent’s image from the mire he plunged it into. Batman heroically takes the blame for Harvey’s sins. A lot of people really loved the symbolism of Batman’s sacrifice–but I didn’t. Yes, taking Harvey’s place was noble, but it required a pretty dang huge lie. Noble lies have a way of going wrong. The effects of this noble lie nearly cost Bruce Wayne his life. How dabbling in movie making changed how I watch movies. This post originally appeared on 8/22/2015 on my other blog. I worked on an independent film once. I even got paid. Before that I’d volunteered on some productions and also been very involved in my college’s film club. I still miss the acting and writing–even the costume design–and think about ways to get back into it. However, this post isn’t about that. 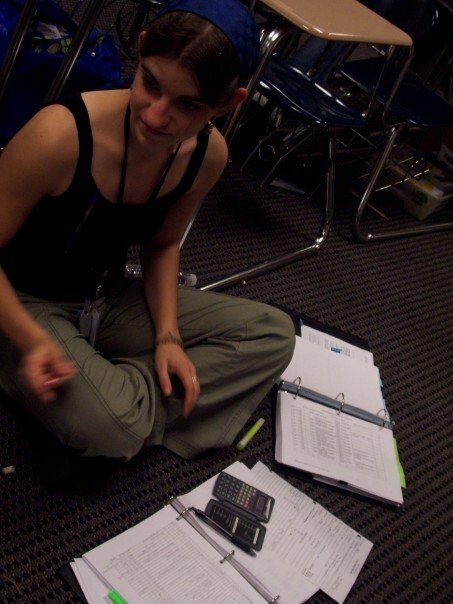 The summer between my Junior and Senior year I worked as a Script Supervisor on an indi production. (I even have a page on IMDB. It’s basically nothing but my name…but hey, it’s there.) Between that and some experiences writing and working on student films, I don’t watch movies the way other people do. I learned a lot that summer. I can’t say I’m running to L.A. to be a script supervisor, but it was a good experience. There is usually one “scripty” per film–sometimes two if there is a second unit. The scripty is the right side of the director’s brain. I was responsible for keeping track of each and every shot the director wanted, and making sure he got each shot he wanted. 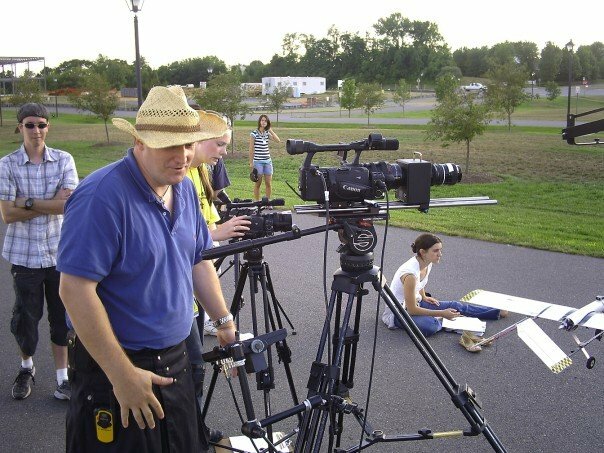 I was responsible for recording the technical details for each shot (like, the lens, the zoom, the height of the camera, its distance from the object, etc) and also the time stamp of each take (we didn’t have a real digital clapper). I was also responsible for continuity photos (pictures taken of the set before and after a take). Was the glass half full, or three quarters full at that particular spot on the actor’s line? Yeah. Mind boggling details. You have all caught mistakes in movies. Forgive the scripty, please. The nice thing was that I was the only person who got to tell the director what to do. The bad thing was that there was only one of me so I had to be on set the entire time. I could only take a break if everyone was. Let’s just say chocolate covered espresso beans were essential to my lucidity. Buckets of vitamins and supplements are probably the only reason I didn’t die of the plague halfway through production. In the film club I wrote, directed, produced, and acted. (I like the writing and acting best). My senior year I also tried my hand at writing an adaptation (book to radio drama). My entire view of movie-making and the book-to-movie process changed. -As an art, movie making is collaborative. One person can wear many hats, but most of the time you need a lot of people from just about every skill-set you can imagine; attorney, accountant, business manager, mastermind, artist, writer, carpenter, make up artist, talent scout, actor, camera man, lighting specialist, event planner, caterer…the list only goes on. Artists often dream of the silver screen, but I wonder how many business managers set out to navigate the massively risky and varied waters of movie production? –Movies are stressful. There is a lot on the line, and there are a lot of artsy people trying to share a vision. This is why chains of command are wildly important. –Movies fail for thousands of reasons. Movies succeed for thousands of reasons. Most movies don’t pay for themselves and studios are kept afloat by the blockbusters than knock it out of the park. –Every film shoots a lot of scenes that will not make it into the movie. The extras on the DVD? Just a sampling. Most of them are cut for a good reason. Some are cut just for time constraints. You wouldn’t believe what we do for time constraints. –Timing is everything. The Wizard of Oz and The Princess Bride bombed in the box office. They became cult classics after they were released on home video. The TV show Firefly is another example of late blooming success. –Adaptations are freaking hard to do. When I watch a movie that came from a book, I judge it as a two hour summary of a 300 page book. I do not judge the movie by the book, nor the book by the movie. The only exception to this is The Princess Bride. Having seen the movie and read the book, I can say I love both for basically the same reasons. –Medium matters, pacing and suspense techniques that work in the book will necessarily look different when translated to a visual production. –Part of what makes adaptations so hard is the perspective of the book–IE, the first person limited knowledge of The Hunger Games posed an extreme challenge to the film makers. They probably could have made a better movie (or one that conveyed more of the facts of the story) if they had treated it more like a third person omniscient. I think they figured that out and the rest of the films in the series were much better. I think I may even prefer them to the books. Most stories are written in limited omniscient or first person, and most movies are told in omniscient or limited omniscient. However, you can get a heck of a lot more detail and character development in a book than you can in a movie. Witness the 6 hour BBC Pride and Prejudice vs. the 2 hour Focus Features Pride and Prejudice. I think both films are excellent adaptations given the time restraints. –Yes, movie making is a ton of fun. Most people do it because they like it. Despite the crazy-go-nuts hours and conditions. Believe me, the crew doesn’t do it for the money. Basically, having an understanding of how it’s done, how much money things cost, and how much effort goes into a production, I have a lot more grace for the movies I watch. That doesn’t mean that I think they should get away with laziness or sloppiness or weak stories…it just means that I get it. Well, Zorro and I watched Suicide Squad and Batman vs Superman over the weekend. I have a lot of thoughts skittering about, so for my own sake I’m writing them down. I know the whole “my disguise is glasses frames” thing is really thin, but why on earth does Lex Luther know EVERYTHING about EVERYONE??? Also….why is the Bat mobile tricked out with machine guns? Batman is a detective and a crime fighter, and he has this thing about guns. Yeah, he doesn’t use them. I can forgive the trippy dream sequences, because they were a worst case scenario and he would be horrified he was using guns. But really now, we’re messing with core Batman principles here. Things that set him apart. While we’re on the topic: I would really like to see Batman the Detective more. DC’s movie people seem to be stuck on Batman the Superhero Goes To War, when not everything needs to be about the end of the world or the end of Gotham. I could also here go on a rant that the reason Superman works is because he’s just a good guy trying to do good things…from what I heard about the Superman movie, they messed with that. It seemed like Batman v Superman was a lot of back pedalling to address the things everyone hated about the Superman Movie, and also to introduce Batman, Wonder Woman, The Flash, Aquaman, and was that Cyborg? Very much a transitional film. Also, these heroes hallucinate a lot. And there are random montages and things that really do not make sense. Yes, I caught the blurb from future Flash trying to warn Batman about someone (presumably Superman, but we don’t actually know that) but it was mostly just mystifying. We all know why Superman figures out who Batman is, but Batman is never shown putting any thought at all in figuring out Superman’s identity (contrast: the Batman/Superman adventures, they get that hurdle out of the way pretty quickly) and why on earth does Lex Luther know everything about everyone??? Speaking of Lex. He talked about his father so much I wondered if they were trying to imply that he was bald Lex’s son. But I guess since he goes bald at the end he must be THE Lex Luther. Except he’s not. He’s not the genius business tycoon who is essentially Bad Bald Batman–this Lex truly felt more like a Joker or Scarecrow character. There isn’t going to be much left in the world if they keep destroying cities at this rate. I mean…Metropolis has been devastated. They made it a point in Batman v Superman to say repeatedly that the city had been (magically) evacuated and the bulk of the fight was in a huuuuge abandoned dockyard…which is now much flatter than it used to be. It was almost entertaining how they were very, very careful to say that about each fight location. And Suicide Squad…Midway City got a little devastated (by the bad guys, at least) and the US military got a serious beating around the world. We’re talking fleets and bases are gone now. Just gone. So I feel like they are sort of trying to tone it down after the audience reaction to that Superman movie…but they aren’t actually succeeding a lot. So. Suicide Squad. I actually liked it. I know, right? Amanda Waller was definitely Amanda Waller, lifted perfectly out of the animated world and brought to life by Viola Davis. It seems that DC’s live action predisposition to darkness has finally found a home in villains. Deadshot is an intensely likable assassin perfectly played by Will Smith, Harly Quinn is extremely well done, Boomerang was entirely unnecessary to the plot, and Joker…well…Joker….he wasn’t as important as Jared Leto seems to think. I feel that the mad clown might just be doomed as a live action villain. I appreciated Heath Ledger’s version of Joker–the Joker you weren’t actually sure was mad–but I wish they would take a hint from the animated series and tone down the disturbing stuff. I think that I am mostly stuck on his torture of Harley (since they also appear to have a love you just want to root for, which is so uncomfortable) and his teeth. And how the actor misapplied method acting and was a truly impressive jerk to his co-stars. Something that was really unnecessary on so many levels I’ve lost count.